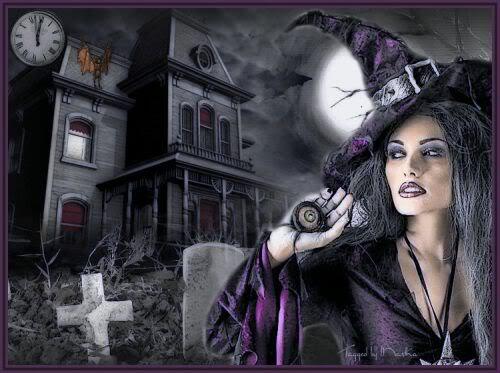 In England, the term 'witch' was not used exclusively to describe malevolent magicians, but could also indicate cunning folk. "There were a number of interchangeable terms for these practitioners, ‘white’, ‘good’, or ‘unbinding’ witches, blessers, wizards, sorcerers, however ‘cunning-man’ and ‘wise-man’ were the most frequent." The contemporary Reginald Scott noted “At this day it is indifferent to say in the English tongue, ‘she is a witch’ or ‘she is a wise woman’”. While cunning-folk could command a lot of respect, public perceptions of them were often ambivalent and a little fearful, for many were deemed just as capable of harming as of healing. Throughout Europe many such healers and wise men and women were convicted of witchcraft (Éva Pócs' 'sorcerer witches'): many English 'witches' convicted of consorting with demons seem to have been cunning folk whose fairy familiars had been demonised; many French devins-guerisseurs were accused of witchcraft; and over half the accused witches in Hungary seem to have been healers. Some of the healers and diviners historically accused of witchcraft have considered themselves mediators between the mundane and spiritual worlds, roughly equivalent to shamans. Such people described their contacts with fairies, spirits or the dead, often involving out-of-body experiences and travelling through the realms of an 'other-world'. 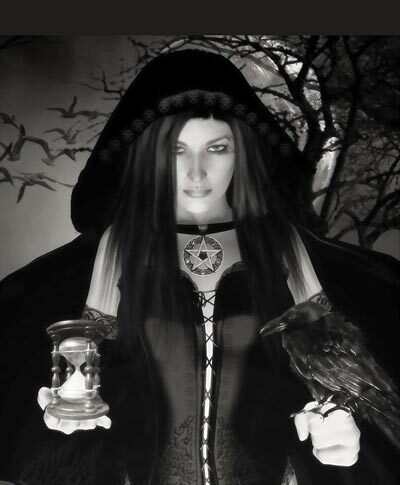 Beliefs of this nature are implied in the folklore of much of Europe, and were explicitly described by accused witches in central and southern Europe. 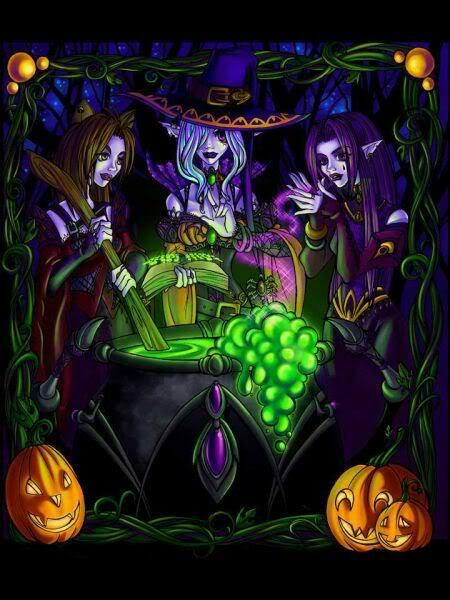 Repeated themes include participation in processions of the dead or large feasts, often presided over by a female divinity who teaches magic and gives prophecies; and participation in battles against evil spirits, 'vampires' or 'witches' to win fertility and prosperity for the community. 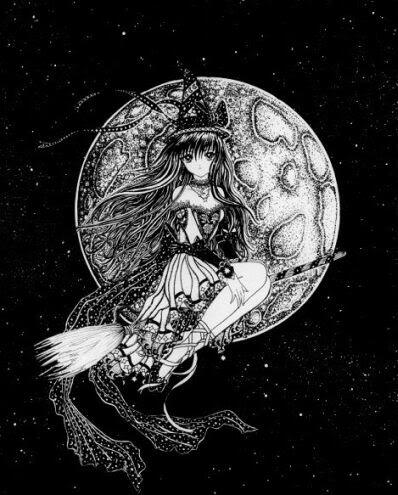 There has also existed in popular belief the concept of white witches and white witchcraft, which is strictly benevolent. 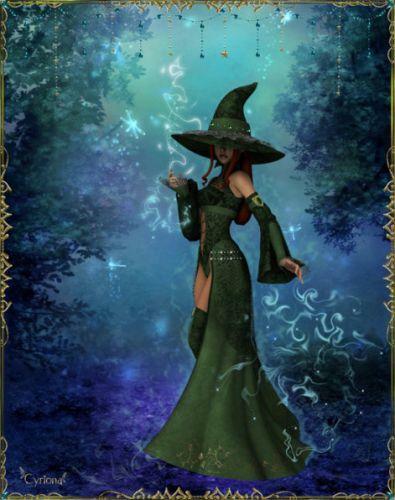 Many neopagan witches strongly identify with this concept, and profess ethical codes that prevent them from performing magic on a person without their request.. Where belief in malicious magic practices exists, such practitioners are typically forbidden by law as well as hated and feared by the general populace, while beneficial magic is tolerated or even accepted wholesale by the people – even if the orthodox establishment objects to it. 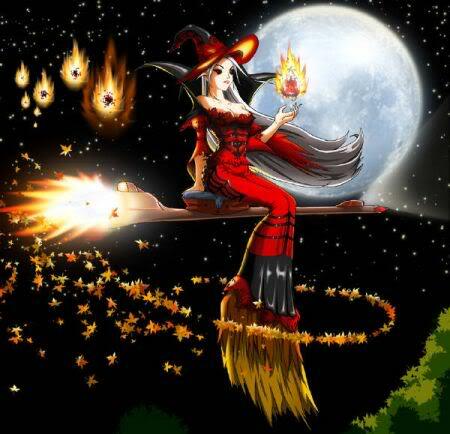 Probably the most obvious characteristic of a witch was the ability to cast a spell, a "spell" being the word used to signify the means employed to accomplish a magical action. 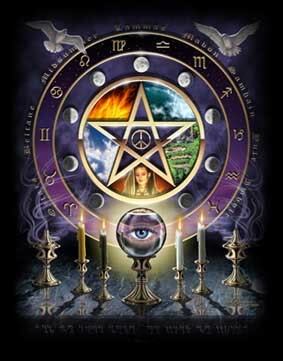 A spell could consist of a set of words, a formula or verse, or a ritual action, or any combination of these. Spells traditionally were cast by many methods, such as by the inscription of runes or sigils on an object to give it magical powers; by the immolation or binding of a wax or clay image (poppet) of a person to affect him or her magically; by the recitation of incantations; by the performance of physical rituals; by the employment of magical herbs as amulets or potions; by gazing at mirrors, swords or other specula (scrying) for purposes of divination; and by many other means. 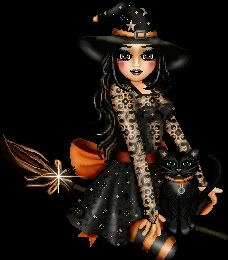 Witchcraft, in various historical, anthropological, religious and mythological contexts, is the use of supernatural or magical powers. 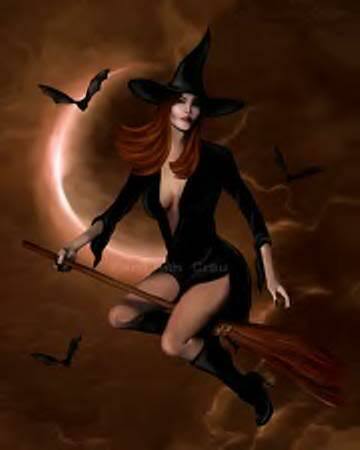 Witchcraft can refer to the use of such powers in order to inflict harm or damage upon members of a community or their property. 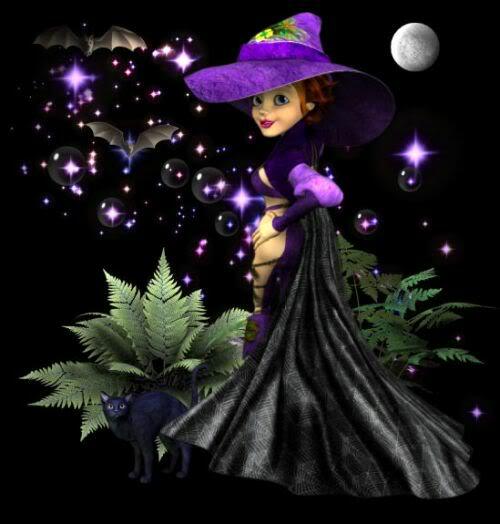 Other uses of the term distinguish between bad witchcraft and good witchcraft, the latter involving the use of these powers to heal someone from bad witchcraft. The concept of witchcraft is normally treated as a cultural ideology, a means of explaining human misfortune by blaming it either on a supernatural entity or a known person in the community. 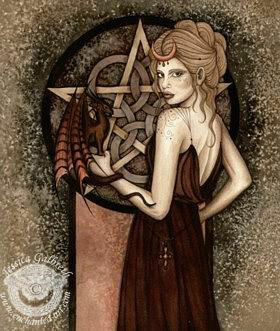 A witch (from Old English wicce f. / wicca m.) is a practitioner of witchcraft. Belief in witchcraft, and by consequence witch-hunts, is found in many cultures worldwide, today mostly in Sub-Saharan Africa (e.g. 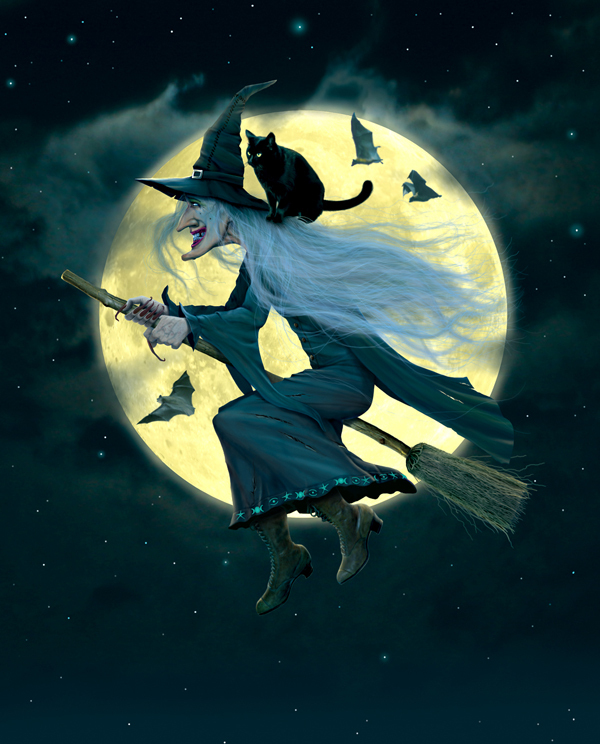 in the witch smellers in Bantu culture), and historically notably in Early Modern Europe of the 14th to 18th century, where witchcraft came to be seen as a vast diabolical conspiracy against Christianity, and accusations of witchcraft led to large-scale witch-hunts, especially in Germanic Europe. 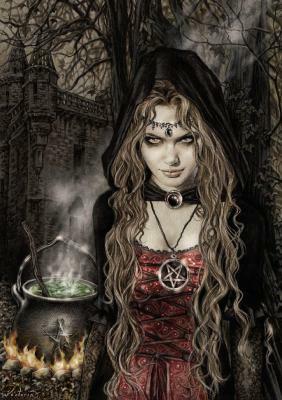 The "witch-cult hypothesis", a controversial theory that European witchcraft was a suppressed pagan religion, was popular in the 19th and early 20th centuries. 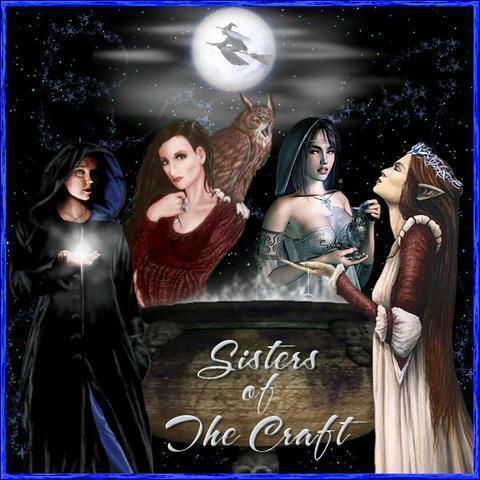 Since the mid-20th century, Witchcraft has become the self-designation of a branch of neopaganism, especially in the Wicca tradition following Gerald Gardner, who claimed a religious tradition of Witchcraft with pre-Christian roots. 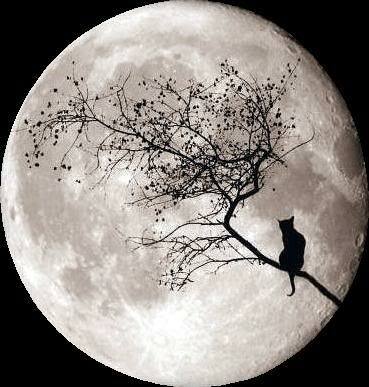 The "neighbourhood witch" or "social witch": a witch who curses a neighbour following some conflict. 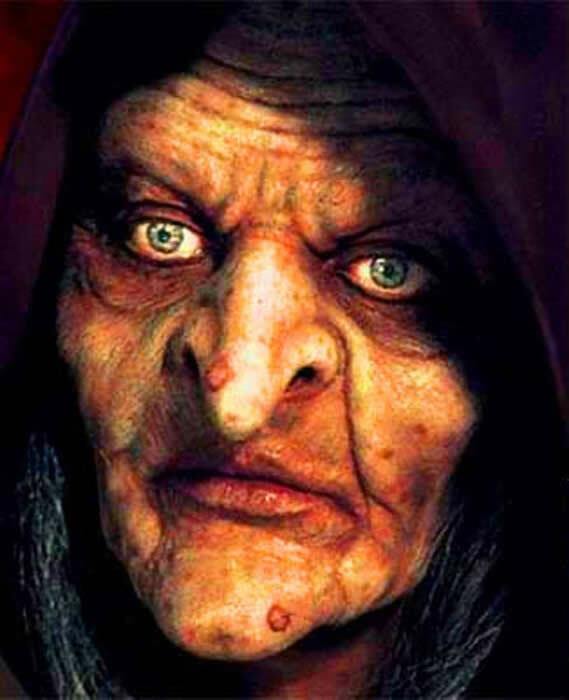 The "magical" or "sorcerer" witch: either a professional healer, sorcerer, seer or midwife, or a person who has through magic increased her fortune to the perceived detriment of a neighbouring household; due to neighbourly or community rivalries and the ambiguity between positive and negative magic, such individuals can become labelled as witches. The "supernatural" or "night" witch: portrayed in court narratives as a demon appearing in visions and dreams. 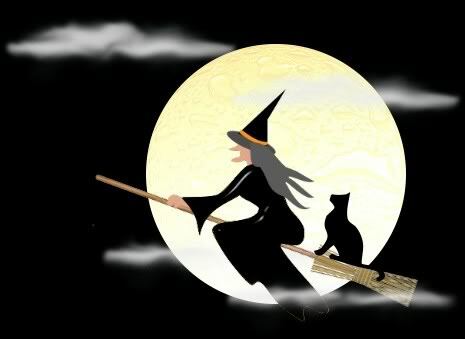 "Neighbourhood witches" are the product of neighbourhood tensions, and are found only in self-sufficient serf village communities where the inhabitants largely rely on each other. Such accusations follow the breaking of some social norm, such as the failure to return a borrowed item, and any person part of the normal social exchange could potentially fall under suspicion. 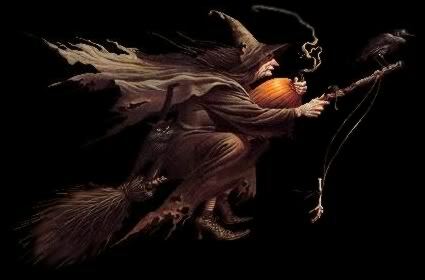 Claims of "sorcerer" witches and "supernatural" witches could arise out of social tensions, but not exclusively; the supernatural witch in particular often had nothing to do with communal conflict, but expressed tensions between the human and supernatural worlds; and in Eastern and Southeastern Europe such supernatural witches became an ideology explaining calamities that befell entire communities. Under the monotheistic religions of the Levant (namely, Christianity and Islam), sorcery came to be associated with heresy and apostasy. Among the Catholics, Protestants, and secular leadership of the European Late Medieval/Early Modern period, fears regarding witchcraft rose to fever pitch, and sometimes led to large-scale witch-hunts. 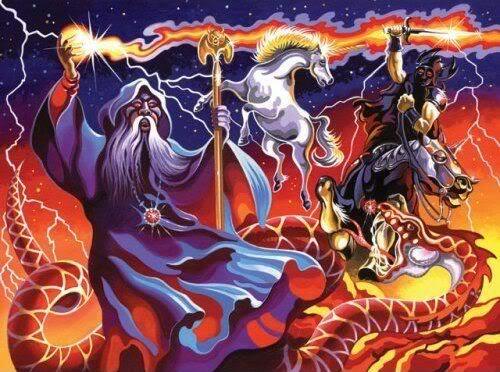 Throughout this time, it was increasingly believed that Christianity was engaged in an apocalyptic battle against the Devil and his secret army of witches, who had entered into a diabolical pact. In total, tens or hundreds of thousands of people were executed, and others were imprisoned, tortured, banished, and had lands and possessions confiscated. The majority of those accused were women, though in some regions the majority were men. Accusations of witchcraft were frequently combined with other charges of heresy against such groups as the Cathars and Waldensians. The Malleus Maleficarum, a famous witch-hunting manual used by both Catholics and Protestants, outlines how to identify a witch, what makes a woman more likely to be a witch, how to put a witch to trial and how to punish a witch. The book defines a witch as evil and typically female. In the modern Western world, witchcraft accusations have often accompanied the satanic ritual abuse moral panic. Such accusations are a counterpart to blood libel of various kinds, which may be found throughout history across the globe. Modern practices identified by their practitioners as "witchcraft" have arisen in the twentieth century which may be broadly subsumed under the heading of Neopaganism. 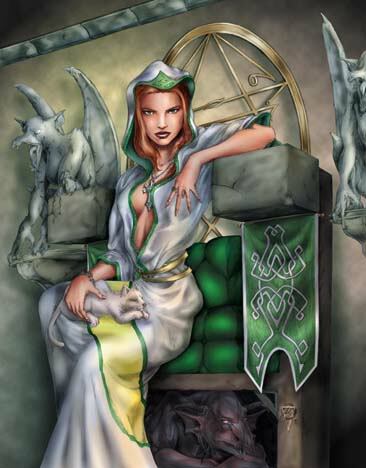 However, as forms of Neopaganism can be quite different and have very different origins, these representations can vary considerably despite the shared name. More recently a movement to recreate pre-Christian traditions has taken shape in polytheistic reconstructionism, including such practices as Divination, Seid and various forms of Shamanism. A magician is a person skilled in the mysterious and hidden art of magic, the ability to attain objectives, acquire knowledge, using supernatural or nonrational means. Some modern magicians, such as Aleister Crowley and those who follow the traditions of the Hermetic Order of the Golden Dawn and Ordo Templi Orientis, describe magic in rational terms, using definitions, postulates and theorems. 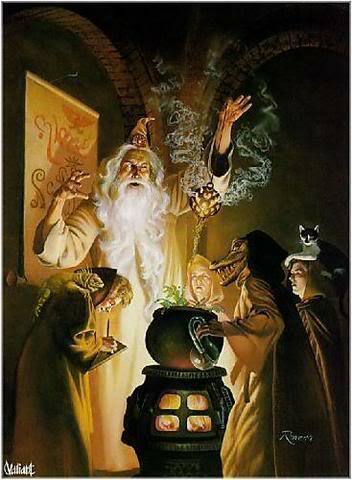 Aleister Crowley said "the magician of the future will use mathematical formulas". 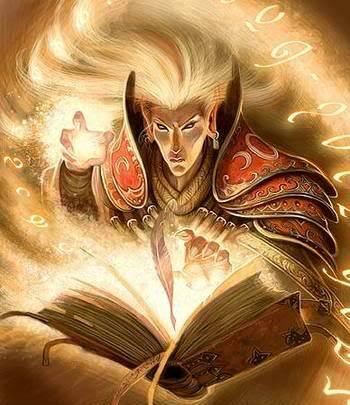 The latter kind of magician can also be referred to as an enchanter, wizard, mage, magus, or thaumaturgist. These overlapping terms may be distinguished by some traditions or some writers. 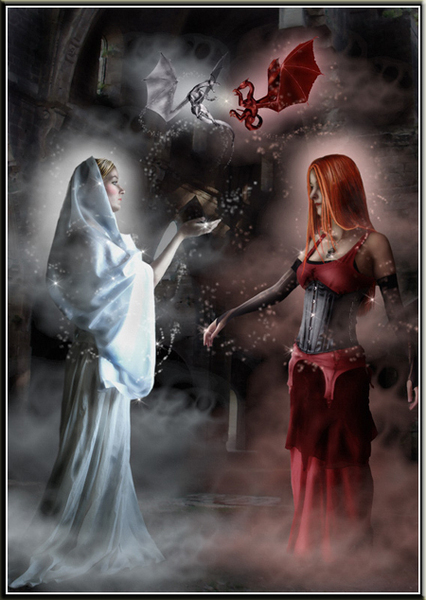 When such distinctions are made, sorcerers are more often practitioners of evocations or black magic, and there may be variations on level and type of power associated with each name. Some names, distinctions, or aspects may have more of a negative connotation than others, depending on the setting and the context. 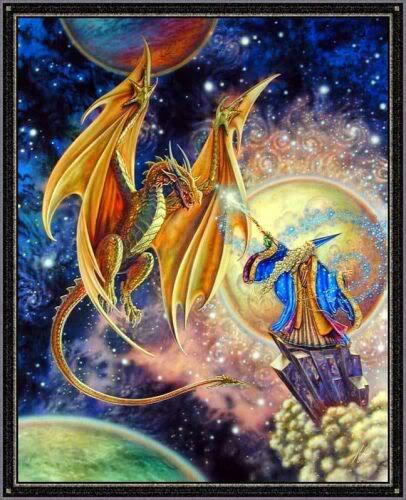 Numerous people have stated that they were magicians or wizards, or were commonly believed to be so at the time. 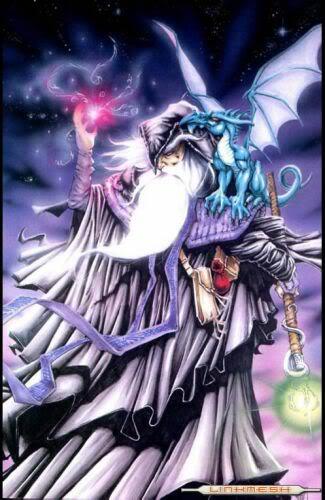 A wizard, in this case, is a person who claims to be skilled in arts considered hidden or arcane. Throughout history, there have been many who have claimed having secret knowledge meant having great, often supernatural, power. Some claimed to know occult (literally, "hidden") techniques that they felt could be of great aid. Perhaps the oldest example of this is knowledge of the jealously guarded secret of the making and tending of fire. Alchemy, in particular, contained many elements that would now be considered magical, but many others that have been incorporated into the science of chemistry. 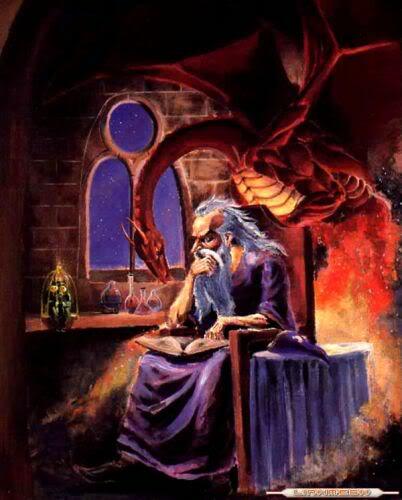 Legends in medieval Europe attributed Virgil with prophetic powers, and sometimes more magical abilities, as in the fairy tale "Virgilius the Sorcerer" collected in The Violet Fairy Book. The figure of Faust appears to have been based on an actual alchemist, Johann Georg Faust, who was accused in his lifetime of practicing magic. 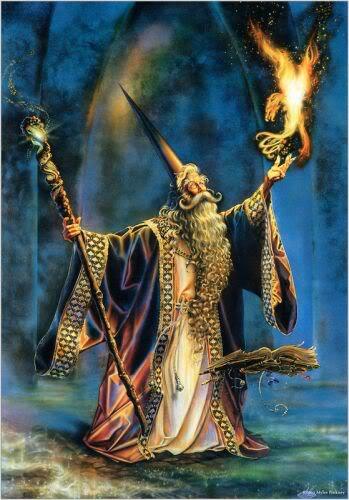 Jehoshua Ben-Pandira - An Egyptian wizard suggested by scholar Gerald Massey to be the original Jesus. The "Atsinganoi", early Romani people as described in the time of Constantine IX, Heinrich Cornelius Agrippa occult writer and alchemist, John Dee, Queen Elizabeth's court astrologist, and the controversial figure Aleister Crowley are among examples of these. In contemporary religious beliefs, it is believed by those adherent to the Ascended Master Teachings that Ascended masters such as the Master St. Germain have magical powers. 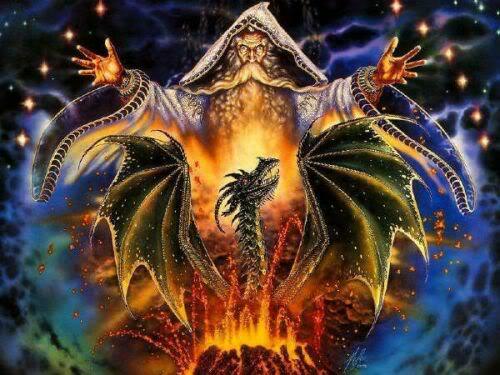 Warlocks are, among historic Christian traditions, said to be the male equivalent of witches. 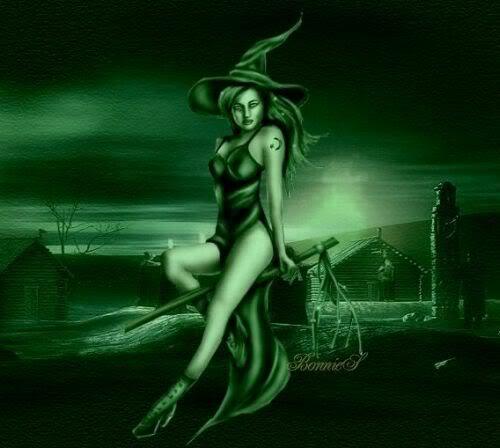 Likewise, in traditional Scottish witchcraft warlock was and is simply the term used for a wizard, or male witch. A synonym is sorcerer. 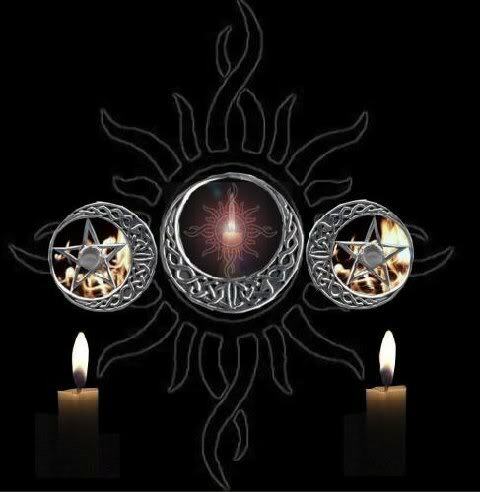 Many practitioners of the modern religion of Wicca do not use the word warlock to identify or self-identify, as explained by Wren Walker (1999), who states that "...self-identifying Wiccans consider it a pejorative term, meaning 'oath-breaker'." In some forms of Traditional Satanism, possibly with its strong association to counter-cultural "shock value," the term "warlock" is also embraced and employed as the primary title for a male member of the group. 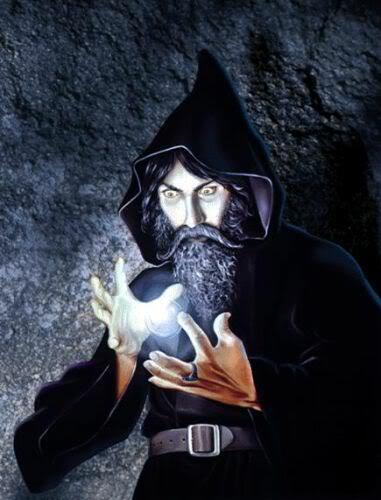 Warlocks appear in a number of fantasy and science fiction novels, movies and games. 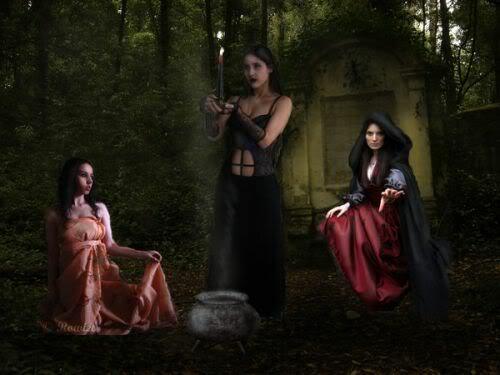 They may be portrayed as humans who have attained magical or mystical powers, often evil, such as in the fantasy television series Charmed, in which warlocks are the evil counterparts to good witches. Elsewhere, the distinction between "warlock" and "witch" may be purely one of gender, such as in the television series Bewitched and Buffy the Vampire Slayer. Alternatively, warlocks may be portrayed as a separate species or alien race, such as in the comic book series Nemesis the Warlock. Occasionally the term is used to refer to technological wizardry rather than magic, such as in Christopher Stasheff's Warlock of Gramarye series of novels, or in the film Live Free or Die Hard, where "W4rl0ck" is a computer hacker. 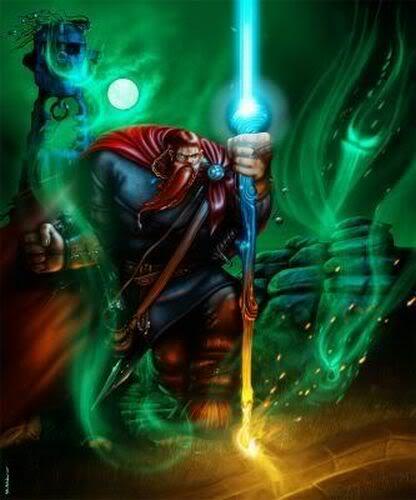 In the popular online game World of Warcraft, a Warlock is a playable class that uses Shadow (Dark) and fire magic offensively along with summoning demons as minions and draining life from enemies. 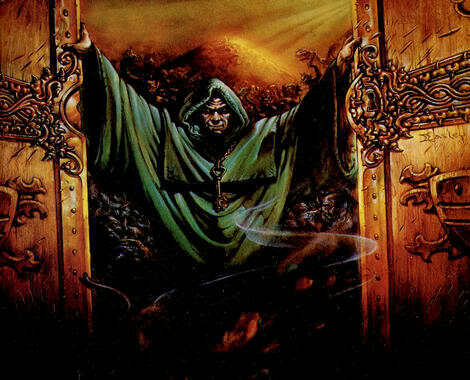 The 3.5th edition of popular role playing game Dungeons and Dragons introduced a Warlock character class as well. In the J.K. Rowling book the Tales of Beedle the Bard in the short story "The Warlock's Hairy Heart" in the footnotes it explains, the term is used to denote wizards experienced in martial magic or who have achieved a level of magical distinction. Also see The Mortal Instruments book series by Cassandra Clare. Magnus Bane is an example of a warlock in each of the books. 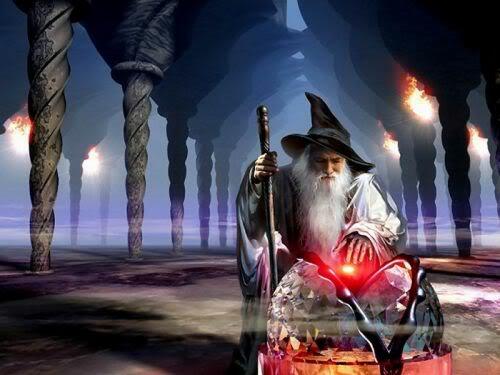 Merlin is a legendary figure best known as the wizard featured in the Arthurian legend. The standard depiction of the character first appears in Geoffrey of Monmouth's Historia Regum Britanniae, written c. 1136, and is based on an amalgamation of previous historical and legendary figures. 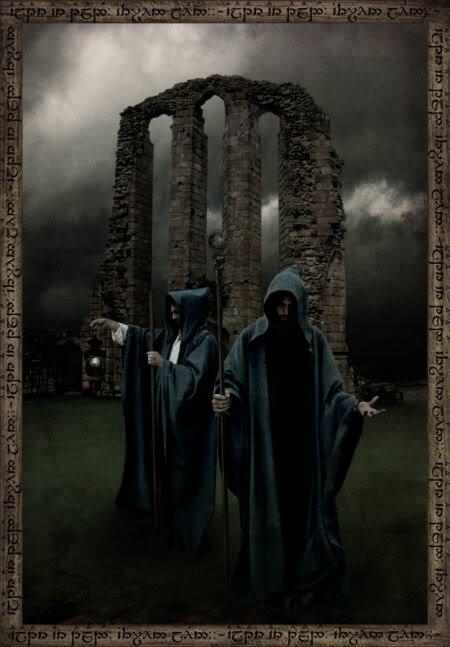 Geoffrey combined existing stories of Myrddin Wyllt (Merlinus Caledonensis), a North British madman with no connection to King Arthur, with tales of the Romano-British war leader Ambrosius Aurelianus to form the composite figure he called Merlin Ambrosius (Welsh: Myrddin Emrys). 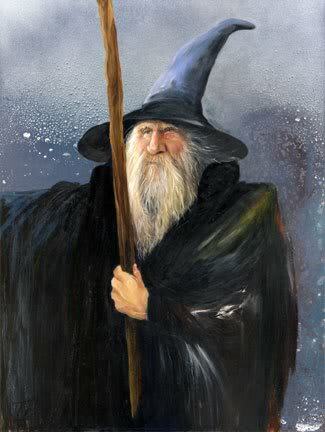 Geoffrey's rendering of the character was immediately popular, especially in Wales; later writers expanded the account to produce a fuller image of the wizard. 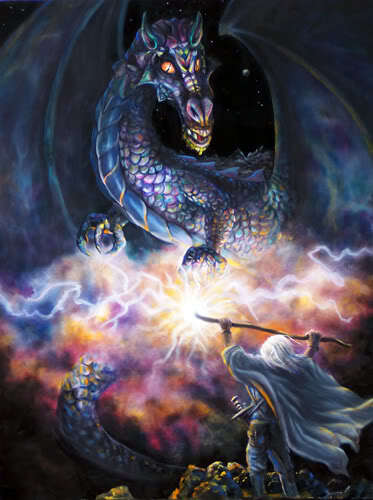 Merlin's traditional biography casts him as a cambion; born of a mortal woman, sired by an incubus, the non-human wellspring from whom he inherits his supernatural powers and abilities. 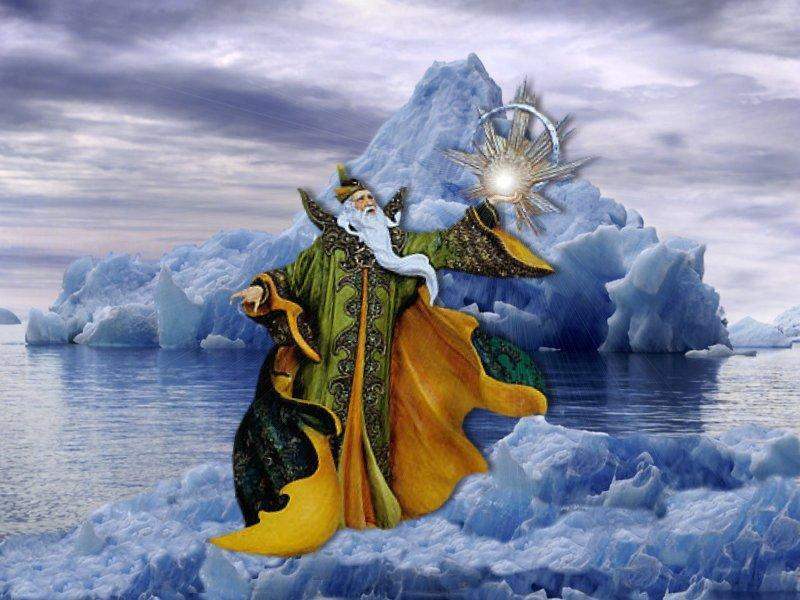 Merlin matures to an ascendant sagehood and engineers the birth of Arthur through magic and intrigue. 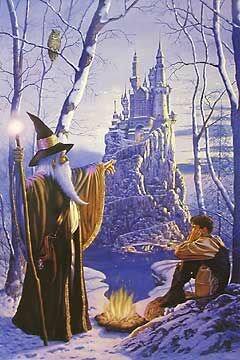 Later authors have Merlin serve as the king's advisor until he is bewitched and imprisoned by the Lady of the Lake. 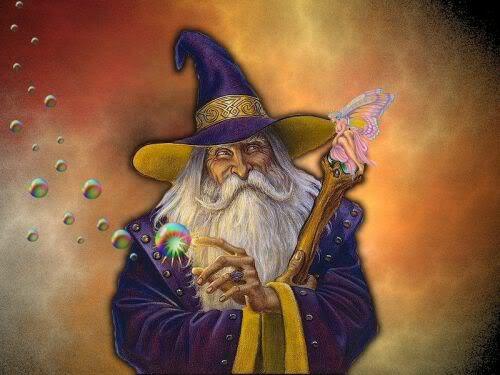 The title wizard is said to be derived from the archaic word "Wys-ars", meaning one who, at bottom, is very wise. 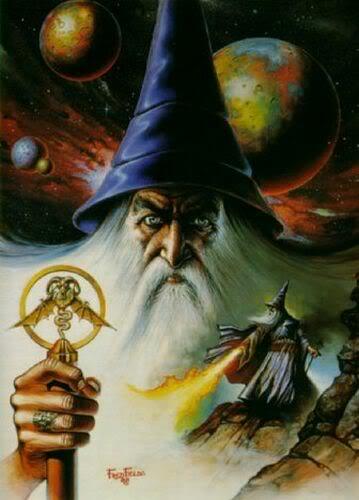 Wizards previously had a more infamous reputation, partly based on a distrust of other wizards; Rincewind sarcastically notes in Sourcery that the plural of wizard was once "war". 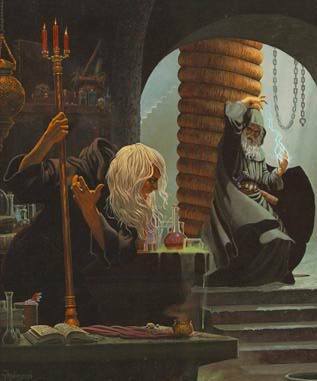 In fact, the older wizards tend not to understand how magic actually works at all, instead relying on centuries of lore to achieve their effects. Younger wizards enthusiastically experiment, pushing back the boundaries of knowledge and making new discoveries about the nature of the universe. They don't understand how magic works either, but have much more exciting words to explain why not. These often invoke images of particle physics (the events of The Science of Discworld are brought about by an experimental apparatus to split the "thaum", for example). 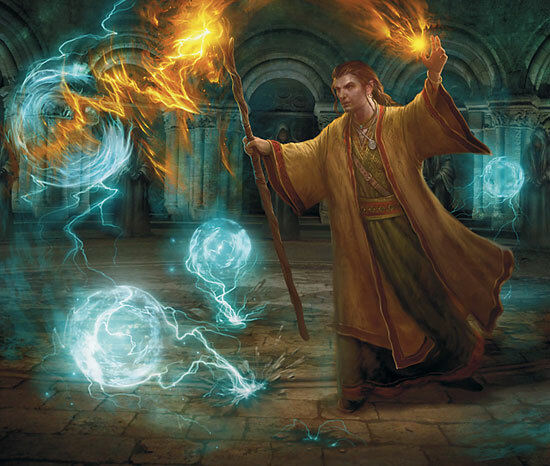 The most complicated parts of most spells aren't the effects, but the baffles to ensure the wizard survives. 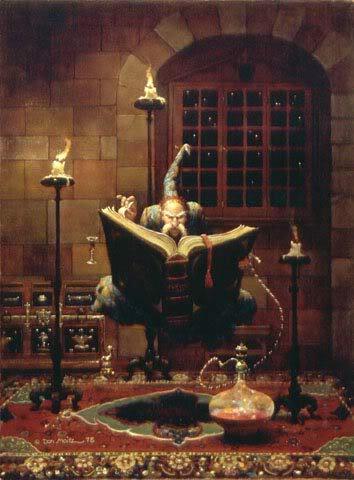 Magic is treated by its practitioners on the Discworld in a similar fashion to how nuclear weaponry is treated in the real world: it does no harm for people to know you've got it, but everyone will be in trouble if it gets used. An eighth son of an eighth son is automatically a wizard. When a wizard nears death – which they know some time in advance – he formally passes on his staff to a newborn wizard. If a wizard happens to have an eighth son, this child will be a "wizard squared" or "Sourcerer", as he generates his own magic and can therefore do just about anything with no effort. This is very dangerous, both because absolute power corrupts absolutely, and because it increases background magic levels considerably. Because of this, wizards generally lack children, due to both rigid celibacy law and overall non-enabling personality.